Is this really a silent retreat? Yes and no. 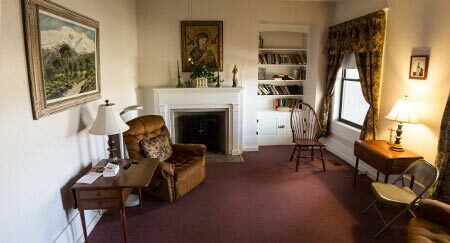 Our individual retreat house, Bethlehem House, is a silent retreat house. Silence and solitude are an important part of a retreat at the Abbey. We encourage our guests to embrace this silence during their retreat to keep the atmosphere quiet for all. Meals are taken in silence. There is a speaking room at Bethlehem and there are some areas outside the retreat house open to speaking as well. Cell phones may be used in the parking lot. Nazareth and Bethany Houses, which are group retreat houses, are not silent Retreat Houses. People who use these houses can set their own rules. Do the monks really take a vow of silence? 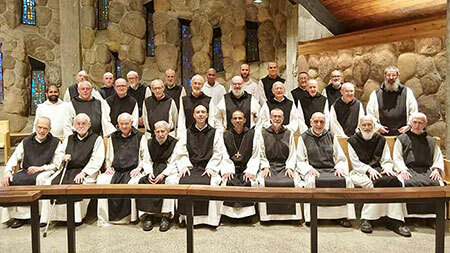 No, Trappist monks do not take a formal vow of silence but speak only when necessary. Informal clothing is appropriate for your retreat. However, as a sign of respect for the monastic environment, we ask that modest dress is maintained in the Abbey Church. Please refrain from short skirts/dresses, short shorts, tight jeans, bare midriffs and tank tops. What do I do while I’m there? It takes time to settle down from life’s hectic pace and find the comfort of the monastic rhythm. Be patient with yourself as you navigate this time unplugged from technology. Retreatants are invited to participate in the retreat conferences and the liturgy of the Abbey, though attendance is optional. Liturgy is celebrated five times daily in the Abbey Church. 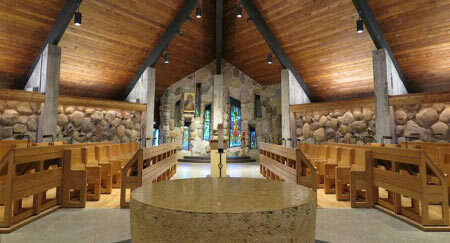 Our full liturgical schedule is available at www.GeneseeAbbey.org. Conferences are given at 2pm on Tuesdays and 10:00am on Thursday in the library at Bethlehem Retreat House. Spiritual direction is available at the Abbey from 9am-11am on Tuesday and Thursday. Guests use a simple signup sheet in the reception area at the Abbey. Bethlehem Retreat House offers a lending library of primarily non-fiction for guests to enjoy during their stay. Nature abounds at the Abbey of the Genesee! 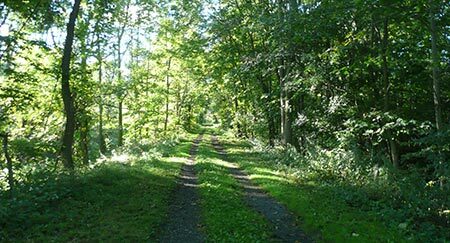 The Genesee Greenway Path offers the opportunity to walk beside the river, through the woods, and beside farmers' fields. Delicious midday and afternoon meals are prepared by our staff at Bethlehem Retreat House. 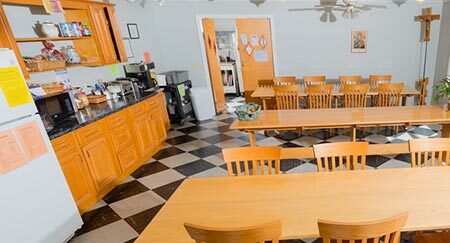 Retreatants eat in community in the refectory. The midday meal is the largest meal of the day with meals usually consisting of meat, vegetables, bread and dessert. A Continental Breakfast is offered daily, and is taken individually. Retreatants at Bethany and Nazareth prepare their own meals. What about special dietary needs? We can accommodate vegetarian diets. People with other special dietary needs should plan on bringing their own food supplies. What else should I pack? Toiletries, flip flops/shower shoes, flashlight, water bottle, walking shoes/boots, umbrella, reading material, pen and notebook.